The other day I reviewed the excellent work, In the Shadow of the Temple, by Oskar Skarsaune. Today, I would like to elaborate on a few of his thoughts in regard to the place of Jews and Gentiles in the people of God. In looking at the development of Christianity in the years after the destruction of the Holy Temple in Jerusalem, Skarsaune observes some changes that begin to develop around the time of Justin Martyr (c. 100-165 C.E.). He notes the ever-increasing Gentile influx and subsequent sway over what has been to this point a sect of Judaism, and uses the writings of Justin Martyr (and others) to show how there began to be a rising arrogance and intolerance among non-Jewish believers for their Jewish brethren. With regard to how non-Jewish believers began to view Jews and Jewish believers at this time, Skarsaune notes that the dialogue between the believing Gentile and the non-believing Jew grew to an intensity which had yet been unsurpassed in the history of Israel’s self-criticism. Skarsaune shows a change from what he labels “Jewish self-criticism” to “anti-Jewish slogans” in the dialogue against unbelieving Jews. 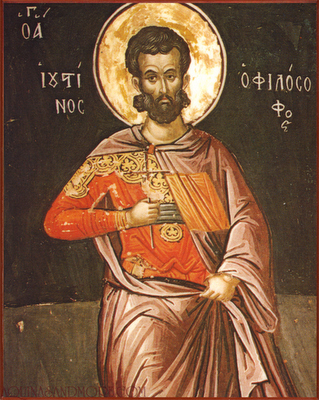 Whereas the Church Fathers use many of the same words as the prophets of old in their condemnation of Israel’s failings (directed at the unbelieving Jew’s failure to recognize the Divine voice yet once again), there is a marked change from the prophetic voice which longs for repentance, and the condemning slander of voices such as Justin Martyr. In the second century one observes a marked change. The Christians of Gentile origin by now far outnumbered those of Jewish origin. Gradually, this fact came to influence the concept of the church. In Justin Martyr, the church is an essentially non-Jewish entity. It is made up of believing Gentiles, and over against this church of the Gentiles Justin places the Jewish nation as essentially non-believing. The border between believers and non-believers tends to coincide with the border between Gentiles and Jews. True, Justin knows of Jewish believers. But whereas in Paul the Gentiles are added to the true Israel of Jewish believers to share in their inheritance, in Justin it is the other way round: the few Jewish believers are added to the church of the Gentiles to share in their inheritance. This shift of perspective had far-reaching consequences. While in Paul the Gentiles share in the promises given to true Israel, in Justin the promises are transferred from the Jewish people to the church of the Gentiles. This church replaces the Jewish people. It takes over the inheritance of Israel while at the same time disinheriting the Jews. One might express this development by using Paul’s image from Romans 11. In Paul, God has cut off some of the branches of Israel’s old olive tree, and in their place he has grafted some wild branches—the Gentiles. In Justin, God has cut down Israel’s olive tree, and in its place he has planted an entirely new tree—the church of the Gentiles. Onto this tree he has grafted a few branches from the old tree—those branches are the believing Jews. Skarsaune’s observations are adept. Although we haven’t seen any proof, per se, in his summary we can see a logical progression in which the spiritual superiority and arrogance of non-Jews is becoming a serious issue. The identity of the “people of God” is in question, and in order to define this term, someone has to “win” this title. Good post, thank you. What I see is that Christianity is never corrected. Where the people o Israel in ancient times always has been corrected, the church however developed in a vast mighty power and it was never corrected. When the Pope had great power, the Reformation happened but it resulted in a parting of ways, not a correction. That’s what I believe that the power of the antichrist is in the church, not out there.